Do you remember the two wounded river otters that came into Wild ARC last fall? 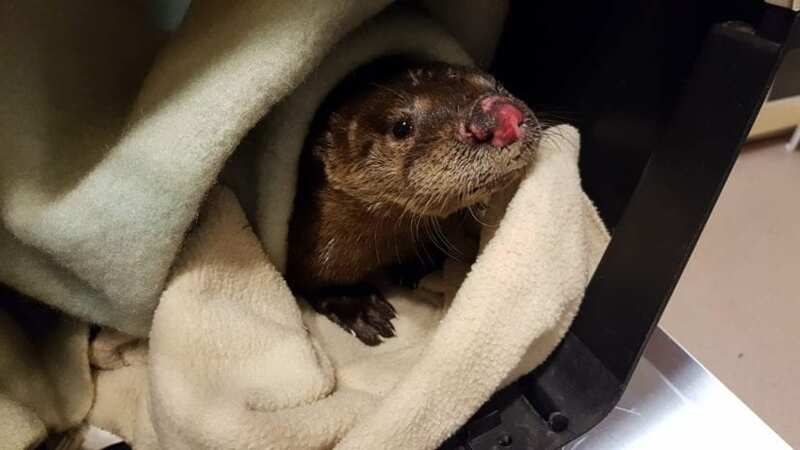 Two of Wild ARC’s three orphaned otters needed emergency medical care when they arrived. The first otter was found injured and unable to escape a sunken apartment patio – he was very thin and had multiple wounds on his face, some so deep they exposed the muscle. 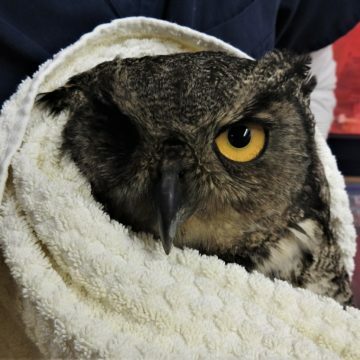 The second was found under a building, very thin and with severe wounds all over her body. Alternative Wildlife Solutions, a local AnimalKind company, rescued both otters and brought them to Wild ARC. 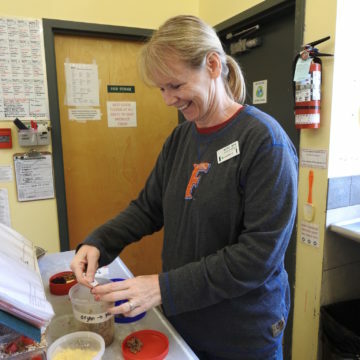 Staff worked hard to clean and mend their wounds, and prescribed a strict diet plan to get them back to a healthy weight. Once their health improved, the three otters quickly bonded and spent the winter in care at Wild ARC. The trio is now healthy and strong, and will be released together in the spring. Watch their progress live on our crittercam! For the past few years, Wild ARC has consistently admitted a trio of orphaned river otters in the early summer months. So, when a single orphaned river otter arrived at Wild ARC in late June, staff expected another to arrive soon to keep her company. However, summer came and went and no other otter was in need of our help. Otters are gregarious creatures and it’s important to have others of their own species to socialize with whenever possible. Staff started looking at options to send this little girl to other rehab centres that also had orphaned river otters. However, complications with the various permits and permissions needed when working with wildlife made this option less than ideal. 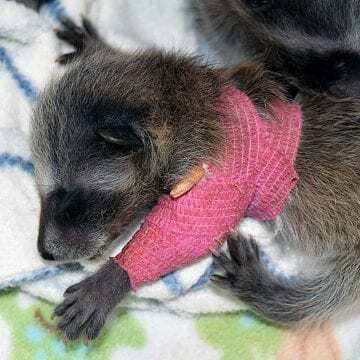 Just as plans to send her elsewhere were about to be executed, Wild ARC received a call about a young, injured river otter unable to escape a sunken apartment patio. Staff called on a local AnimalKind company, Alternative Wildlife Solutions (AWS), who was able to rescue the otter and brought him to Wild ARC. He was very thin and had multiple wounds all over his face, some so deep they exposed the muscle. Staff worked to clean and mend the wounds and prescribed a strict diet plan to return this otter to a healthy weight. In just a couple weeks, he was recovered well enough to join the little female river otter and they bonded quickly. Though we never wish for any animal to have need to come through our doors, we were grateful that this injured, orphaned male otter was found and could provide companionship for the female. Just when it seemed the season was over and we would have only two otters to care for over winter, in mid-November Wild ARC received a call about another river otter in trouble. This one was found downtown under a building with severe wounds all over her body and was very thin. Again, AWS came to her rescue and Wild ARC staff went about fixing up her multiple wounds. This young otter is still recovering in isolation at Wild ARC until she is well enough to join the other two otters. She still has a long way to go but staff are hopeful that her condition will continue to improve and she will be able to join the other two otters soon to complete the trio. 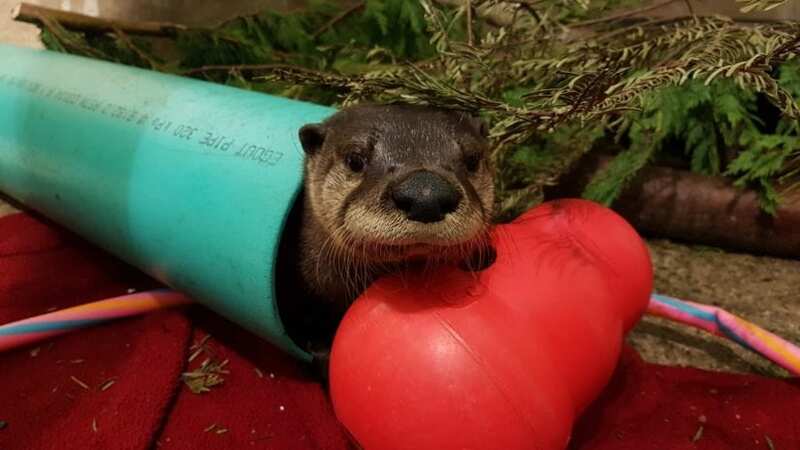 Wild ARC is grateful for the incredible generosity of its supporters who contributed to the Medical Emergency campaign that aims to raise funds for the care of the two injured, orphaned otters. In just a couple days, we raised more than $3,500! Funds raised will go to the continued treatment and medications needed for the injuries to the two otters, specialized (and expensive!) diets and plenty of enrichment to ensure this young trio of otters is well prepared for life in the wild. Donations for the care of these three otters are still being accepted for their Medical Emergency campaign. For other way to support the work done at BC SPCA’s Wild ARC visit: wildarc.com/donate.